When I was in college I bought myself a copy of Gray’s Anatomy – not to be confused with Grey’s Anatomy, the TV show – edited in the form of a coffee table book. At the time I didn’t own a coffee table, but I really liked the anatomical drawings. The illustrations are something almost anyone can appreciate, as they are an amazing example of functional art. Each drawing takes attention to detail and a lot of study. So, when Retro 51 released a Tornado design earlier this year named Dr. Gray, I didn’t wait long to place my order. The barrel features an anatomical drawing of the skeletal system with 30+ of the major bones identified. I’m not sure whether this illustration is a Gray’s Anatomy original or if it has been redrawn by another artist, but, either way, it would be good enough for at least a couple of correct answers on a biology exam. Like the Albert Tornado, this design is part of Retro 51’s “Vintage Metalsmith” series, which mainly means that the metal on the clip, twist, and tip has been weathered. One fairly unique feature, however, is that the Dr. Gray glows in the dark after being exposed to light. 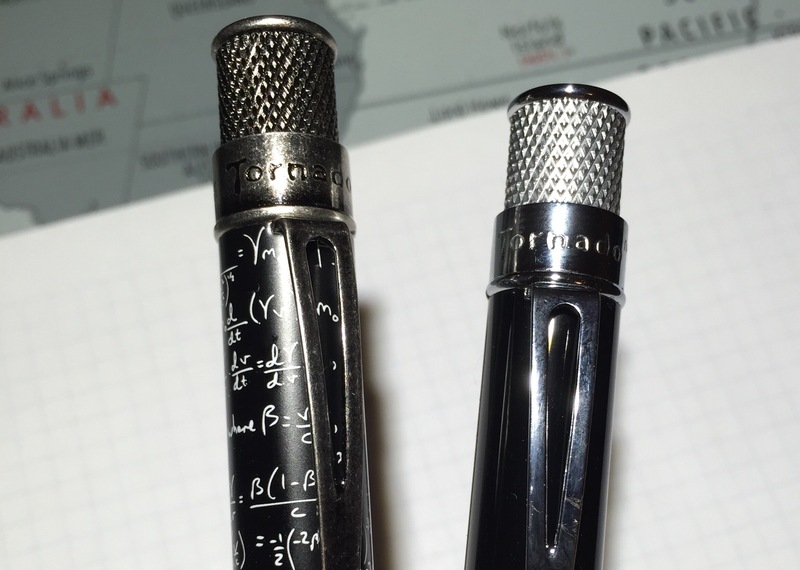 Since I usually keep pens in my pocket (and I don’t use them in the dark), it took me a while to notice. Throw it directly under a bright bulb for 10 minutes, however, and it glows quite brightly. It’s a neat little gimmick that gives it a Halloween vibe. I like the Dr. Gray, although, at $40, it’s more expensive than many other Retro 51 Tornado designs. But if you know an orthopedist or a med student, it would probably make a really cool gift.